Flowers speak thousand words. They are the best present for all types of occasions. A bouquet of flowers always stands out for its fragrance and aroma that it spreads in the surrounding. Roses are even more special in the floral arrangements. 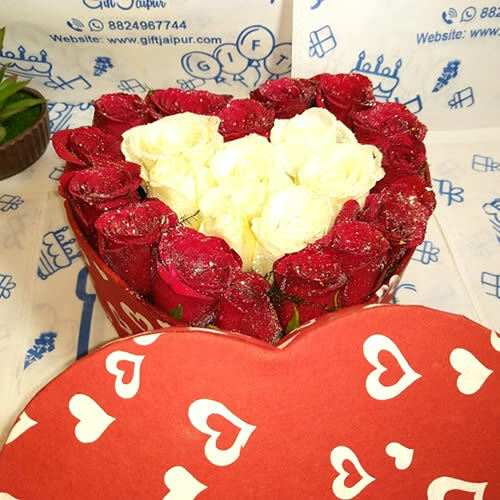 You can buy the lovely and colourful roses online and send those to your loved ones with GiftJaipur. You have that one special lady who has stolen your heart. You basically require no occasion to gift her a rose. You can think of your proposal to her and the red bouquet of roses that you would want to give away to her. 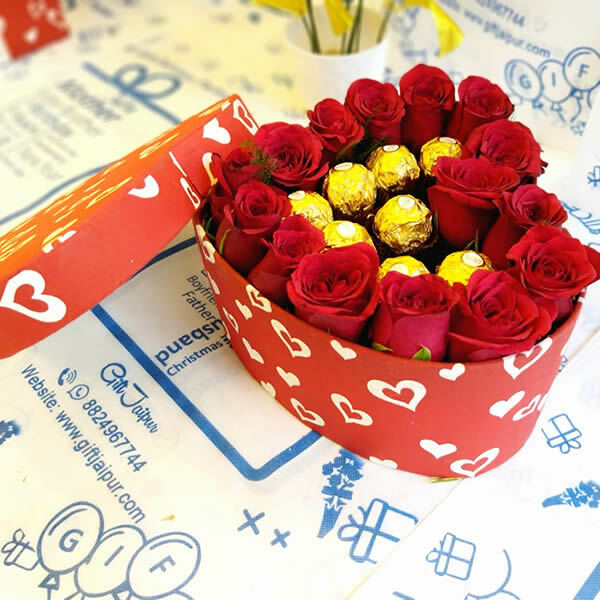 You might want to try the 24 red rose bunch with a marvelous wrapping. If your beloved loves white, you may try the rose and lily combination too. Besides, for this pink occasion, even pink rose bouquet could be your choice. We only want to wish that you get what you wish with the wonder of these roses. Celebrate the birthday of your dear one with a sweet combination of roses and cake. Such delicious and tempting gift will be loved by all. You can try this gift with various flavours of cakes and colours of roses. 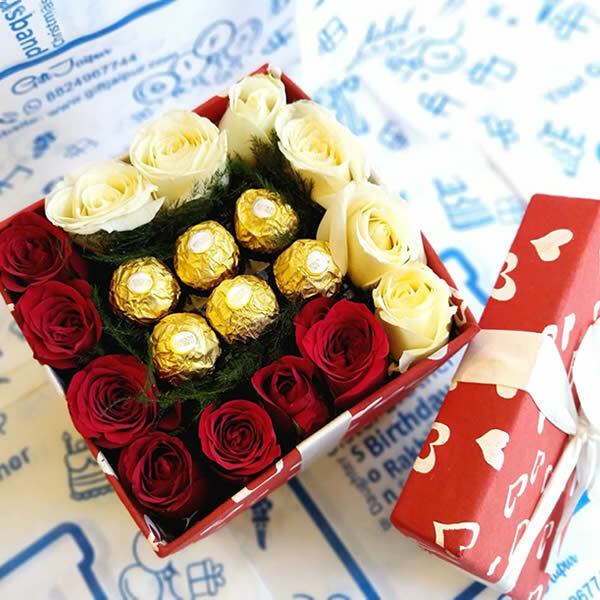 Besides you may also try the combination of roses with chocolates. The finest wrapping and rich chocolates will give a classy look to the rosy gift. You will also find attractive birthday cards to add to your amazing gift. Impress your wife with a heart shaped rose arrangement. This would look gorgeous in pink colour. You might also want to surprise your better half with a teddy in the heart shape. You may try even pink and red mixed rose arrangement. 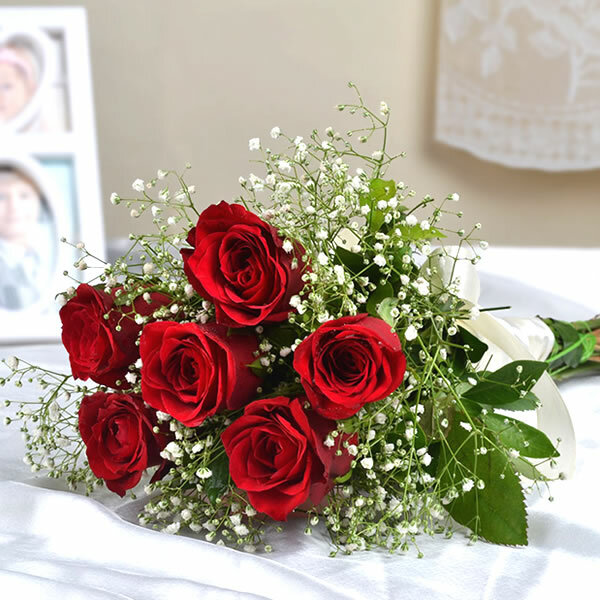 The best of the heart shaped rose arrangements would be the charming 100 red roses arrangement. On this Friendship Day, express your regard to your best friend with a bouquet of yellow roses. Yellow stands for positivity and freshness. You will be happy to see yellow roses in designer packing. Let the roses add freshness to your friendship. May this day fill fragrance in your relation. When it comes to the wedding of your sister, order for a lovely gift that would be outstanding in the hall. The most suitable would be a black and white cake with red roses arrangement. Wouldn’t that look exciting? You may also like a romantic wedding day cake with red roses. White symbolizes peace and decorum. Your parents, teachers and other people whom you respect a lot, deserve this special treat of soothing white roses. Try a beautifully decorated bouquet of red and yellow roses too for such occasions. Roses definitely make the best gift for all kinds of occasions, ranging from wedding ceremonies, birthdays to all festivals. Whether it is a romantic date or the birth of your first child, roses are indispensable. You can find a host of varieties in roses at GiftJaipur. We assure timely delivery of fresh and aromatic flowers to you. Go ahead, and order for your favourite roses today!